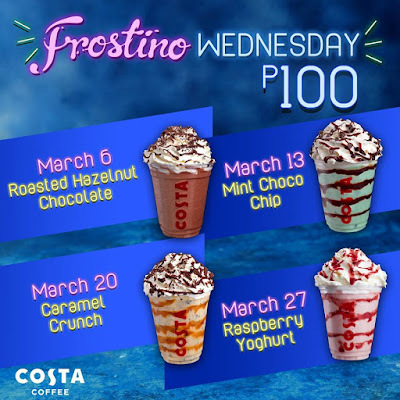 With Manila’s sweltering heat, try a little London cool with Costa Coffee’s Frostino Wednesdays Promo. Featured Primo Frostino for only P100 on all Wednesdays of March 2019. • Customers are allowed to purchase more than 1 Frostino per day.